There are many reasons to always have eggs on hand. Not only are they quick and easy to cook, but they also make a delicious protein- and fiber-rich breakfast and lunch. Not to mention, there are tons of ways to cook them. Eggs are excellent for your overall health. They provide your body with vitamin B12, vitamin D, vitamin B6, fiber, protein, and iron. I like buying eggs so that I always have something healthy on hand for a last-minute breakfast or lunch. 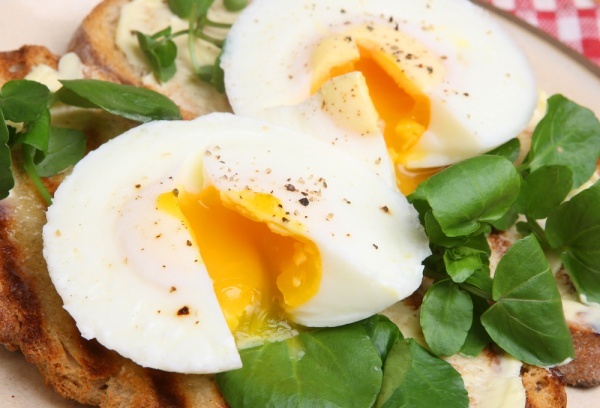 Here are several reasons to incorporate eggs into your breakfast and lunch. Eggs are packed with powerful antioxidants zeaxanthin and lutein that help to protect your eyes from UV damage and lower the risk of developing cataracts. Boil a few eggs in the evening to have a quick yet healthy breakfast in the morning, or keep them in the fridge for unexpected snacking. No only do eggs add lots of essential nutrients to your breakfast or lunch, but they also help to curb your sugar cravings and hunger pangs as the day goes on. You will be less tempted by anything fatty, honey-roasted and salty throughout the day. One egg contains around 70 calories, making it a crucial part of any low-calorie meal plan. Eggs can help you with your weight loss goals and they do not taste like rabbit food. Whether you eat a hard-boiled egg or scrambled eggs with vegetables, you may be sure that you do not consume tons of calories. You do consume loads of nutrients. Eggs are a great source of choline, a nutrient that plays a crucially important role in brain development. It also helps to improve your brain function and memory, reducing your risk of Alzheimer’s disease. Start worrying about your brain health today to keep it healthy as long as possible. If your job is full of extremely challenging thinking tasks, make sure you eat at least two eggs per day. Eggs are among the best protein-rich foods you should be eating for breakfast and lunch. Protein plays an essential role in controlling cholesterol and preventing serious diseases, including heart disease. A high-protein diet promises to increase your longevity and decrease your risk of osteoporosis. So many benefits in one little egg. Despite all the popular beliefs that eating eggs regularly can increase your cholesterol levels and risk for heart disease, eggs are absolutely safe and healthy when eaten in moderation. Eggs have been shown to raise good cholesterol, which is linked to a lower risk of many serious diseases. One large egg contains 22% of your recommended daily allowance of selenium, a vital nutrient that helps regulate thyroid hormones and strengthen your immune system. Ward off viruses, infections, and diseases by adding an egg to your breakfast or lunch. A win-win solution. Eggs are healthy, cheap and tasty, so you have no excuse to skip this ingredient in your eating plan. If you like to make fried eggs for breakfast, make sure you use olive oil instead of vegetable one. You can also add a hard-boiled egg to your lunch salad to make it even healthier. The possibilities are endless, so do you still believe eggs are bad for you?